Swisse Ultiboost Lecithin is a premium quality formula to support liver health and fat metabolism. Liver Health: The liver is responsible for eliminating toxins, aiding digestion and helping regulate metabolism. 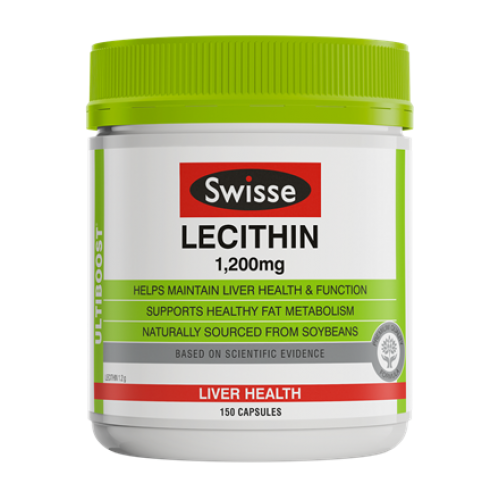 Lecithin contains choline, which supports liver function and helps maintain a healthy liver. Fat Metabolism: The choline in lecithin contributes to normal fat metabolism. Five capsules daily, or as directed by a healthcare professional.